If you’re a long-time, faithful church member who doesn’t like the way your church is changing, I have one thing to say to you. For what? We’ll get to that soon. But first I want to tell you a short story. The man who asked me that question has been a member of our church since it was founded in 1961. I didn’t understand his question, so I asked him to clarify. Now I understood. I explained to him how, when he was younger, we clapped to the on-beat, whereas with newer music we always clap to the off-beat. He had no idea what that meant, so I tried to illustrate. I smile every time I think about it. Thank you, Eldon. It’s tough when you’ve been in a church for a long time and things start to change. Soon, the church you love may feel like it doesn’t even exist anymore. It’s tough when you’ve been in a church for a long time and things start to change. But you’ve hung on. Why? Because, like my friend Eldon, you’ve seen that the changes are surface. The methods and styles are different, but the gospel message is the same. (If your church is watering down the gospel, that’s another discussion for another time). 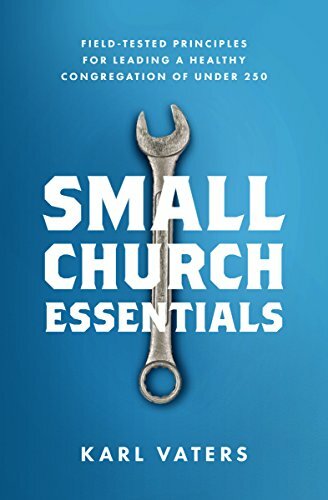 So, for every long-time church member who's staying and contributing, even while your church goes through changes you don’t understand, this is my tribute to you.